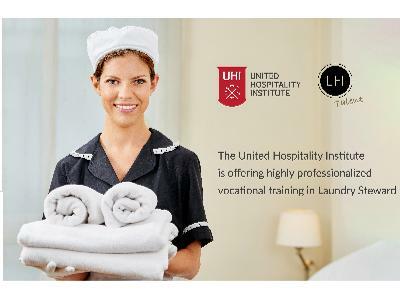 The United Hospitality Institute is offering highly professionalized vocational training in Laundry Stewardwith guaranteed employment! Everybody gets tired of being unproductive, but that’s all most people ever do, get tired! You are not everybody, so do what only a few people ever do –TAKE ACTION! What if you could be career ready and a professional in a maximum of 3 weeks??!! We bet you can, we believe you will. Make up to €3000 for a starting salary after your training, as a professional. Interested? Learn more and decide if you want to apply.